If you are removing in excess of 300 mm of earth you must advise SEA Gas before commencing any work in order to ensure that the pipeline is located and that your work is carried out in a safe manner to protect yourself, your equipment, the environment, our asset and your equipment. Whether you are a landholder or a contractor working for someone else, you must contact SEA Gas and advise of your intentions if you are planning to install a fence or gate across or adjacent to the SEA Gas pipeline easement, regardless of whether you are just replacing old fence posts with new. SEA Gas will locate the pipeline at no cost to you to ensure that your post hole digger / auger does not damage the pipe. 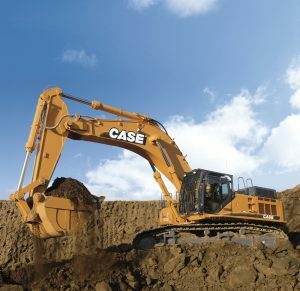 You are required to go through the Dial Before You Dig service prior to commencing any earthworks. Any form of drilling on, near or adjacent to our pipeline can cause damage whether it is horizontal or directional. You must advise SEA Gas if you are proposing any work in the vicinity of the high pressure gas pipeline. This applies when working in or around the SEA Gas pipeline easement. SEA Gas can provide a free pipeline location service to ensure the safety of your equipment, personnel, environment and our asset. SEA Gas must be advised prior to any deep ripping on the pipeline easement. The pipeline may be buried with less than 1 metre coverage, it is essential you contact us prior to commencement of work. SEA Gas will locate the pipeline at no cost to you and advise where on the easement you can rip to ensure that you can carry out your work in a safe manner. Blasting in or within 1km of the pipeline easement is not permitted without the prior written approval of SEA Gas. Contact SEA Gas if you are considering blasting near our pipeline easement. As a landholder or contractor, you must contact SEA Gas prior to enlarging or cleaning out of any dams that are adjacent to the pipeline easement and especially where that cleaning or enlarging work is towards the easement. When taking core samples from any site near or adjacent to the SEA Gas pipeline easement, you must contact us prior to the commencement of the work. 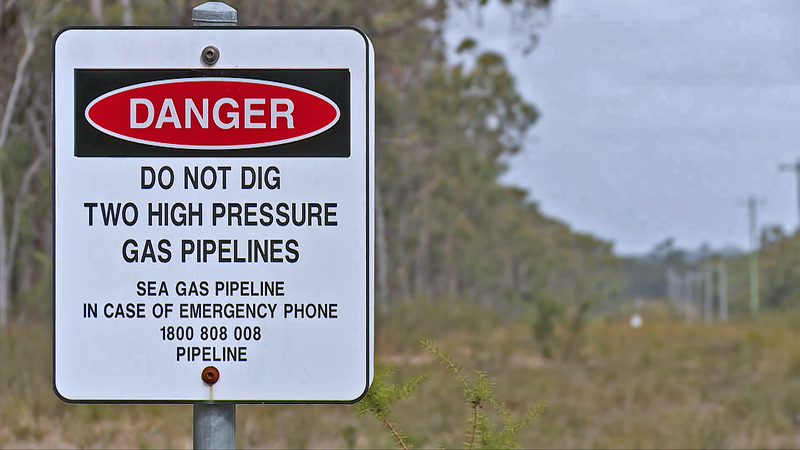 In most rural vacant land and cropping paddocks the pipeline is buried at less than a metre in depth. As core sampling can occur at this depth or deeper, it is a requirement that you contact us to locate the pipeline. SEA Gas is required by law to maintain line of sight between the marker signs. This means that no trees are to be planted on the pipeline easement. Smaller shrubs may be permitted but only after consultation with the SEA Gas. An example of this would be harvesting of pine or gum plantations. Contact SEA Gas to discuss appropriate protection measures prior to the commencement of vehicle activity. The pipeline marker signs are installed as a guide only and may not be the actual location of the pipeline buried below. In order to ensure that you carry out your work safely always contact Dial Before You Dig or SEA Gas direct. Pipeline marker signs are a reminder that there is a high pressure gas transmission pipeline buried in the vicinity. Note that some signs may show “off set” markers. Signage is usually placed within the easement and will not always be directly on top of the pipeline. To ensure line of sight and indicate change in direction of the pipeline, signage must not be removed. Cover varies throughout the length of the pipeline. Regardless of whether you believe you know how deep the pipe may be buried you are still required to contact SEA Gas and the Dial Before You Dig service to ensure the pipe is located accurately and so that your work can be carried out safely. Note that the width of the easement may vary along the length of the pipeline and may be as wide as 25 metres. Damage to other utilities’ plant such as SA Power Networks, Telstra, etc. Penalties may apply under the Gas Act (1997) for interference with a gas transmission main. It is for your own safety and in your company’s interests to obtain a confirmation of pipeline locations when excavating in or near the SEA Gas easement.